பொங்கல் Sakkarai Pongal / Sweet Pongal Recipe. 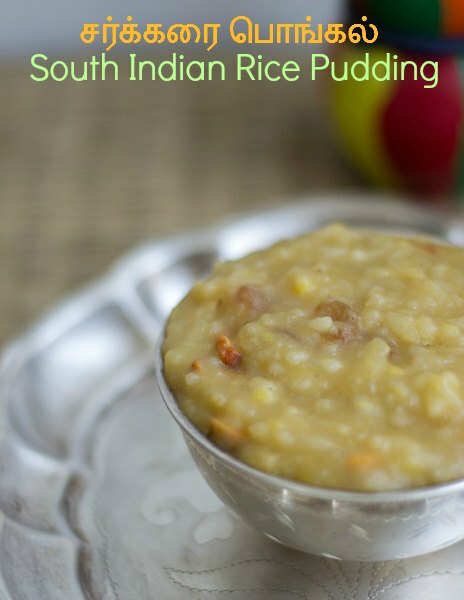 Sweet Pongal / Sakkarai Pongal / South Indian Rice Pudding recipe made during the pongal festival of tamilnadu தை பொங்கல். 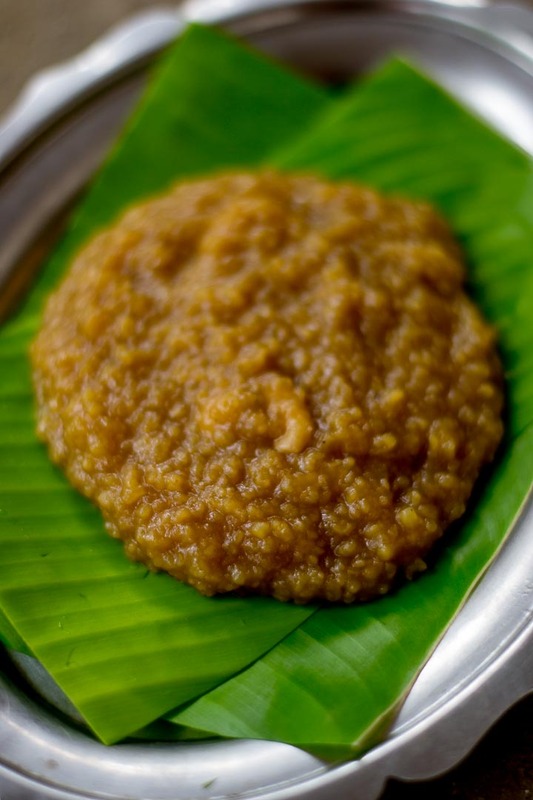 Pongal is also served as prashad/neivedhyam – an offering to god. Sakkarai Pongal has to be the king of desserts for Tamil people all around the world. It is also considered as prasaadam, a religious offering to god. The word Pongal means “overflowing” which signifies prosperity. Pongal is a major festival in Taminadu. The word “pon” in Tamil means Gold. The color of yellow, the color of sun. Pongal is celebrated to give thankfulness to the Sun God. In the medieval Chola empire days Pongal was celebrated as “puthiyeedu”. Puthiyeedu meant the first harvest of the year. Pongal is traditionally made on clay pots set on wood fire. Its still made the same way in the country side of Tamilnadu. 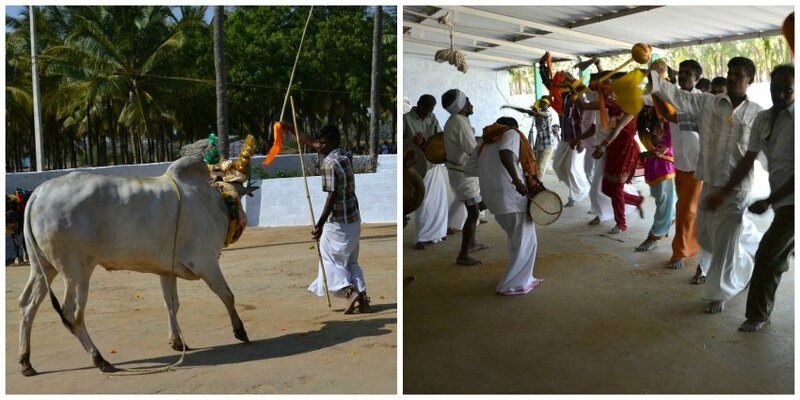 Here are some pictures from our Pongal celebrations at my husbands place in the village. 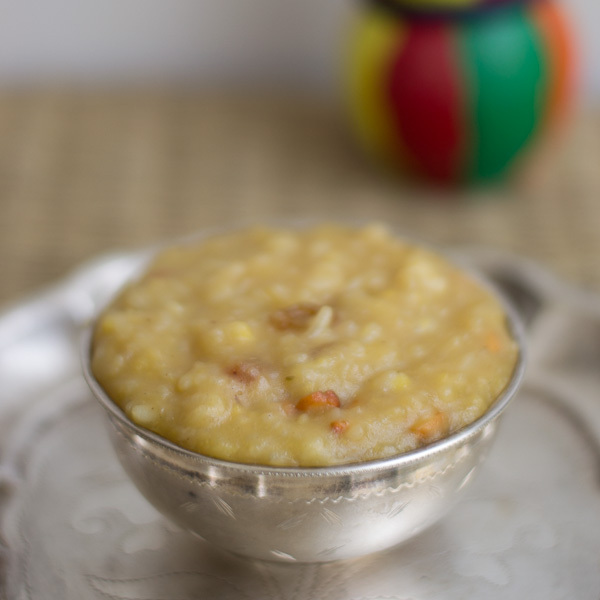 Pongal is the simplest of desserts. Lets make some awesome sweet pongal. We need some good quality raw rice and split moong dal. Take quarter cup each of rice and split moong dal and soak it in 1 1/2 cups of water for 15 minutes. Cook the dal and rice together in a pressure cooker for a good 10 minutes on medium flame (8-10 whistles). Remove off heat and allow the pressure to release naturally. Set this aside. I don’t add the rice and dal directly in the cooker. 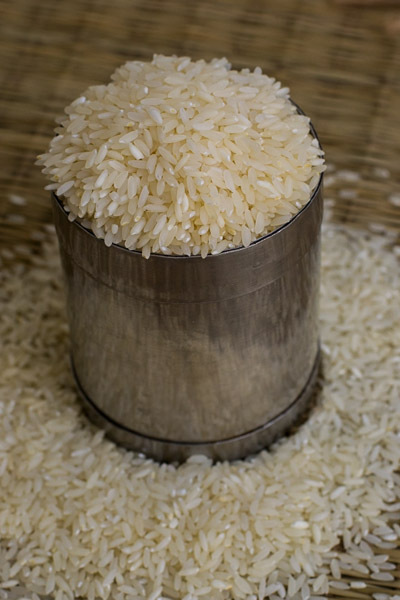 I place some water in the cooker and place a bowl inside and add the rice, dal and water to the bowl. This way the rice mixture does not scorch in the bottom. 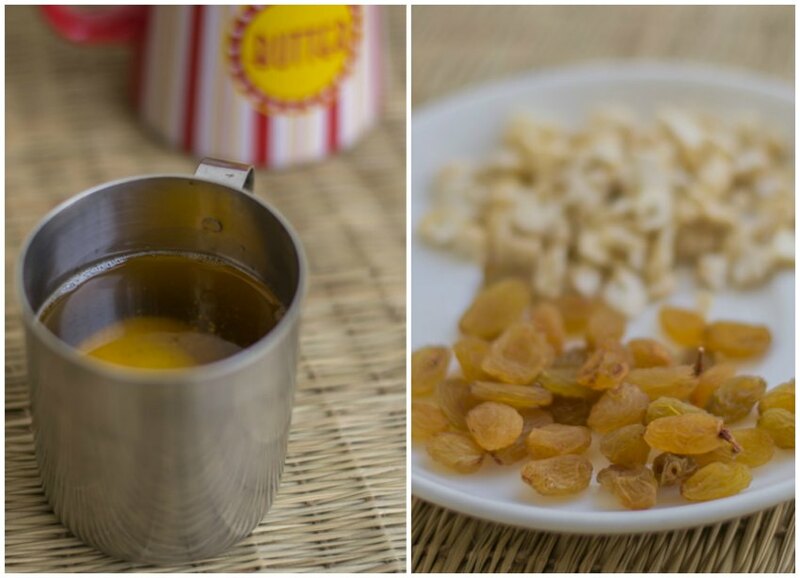 Take half a cup of jaggery and boil it with half a cup of water until all the jaggery is melted. Remove off heat. Jaggery almost always has some sand residue. So strain the boiled jaggery water on a muslin cloth. Set aside. Next, we need to roast the dry fruits in ghee and add it to our pongal. We would need ghee, cashew nuts and raisins. Take a small pan and set it on low. Add in the ghee and the cashew nuts. Roast on low flame until lightly brown. Low flame is the key to good roasted nuts. Add in the raisins and wait for it to plump. Once its plumped up, remove off heat and transfer to a small bowl. Set aside. Its time to add some spice magic. We will need 1/4 teaspoon of cardamom powder and a pinch of nutmeg. 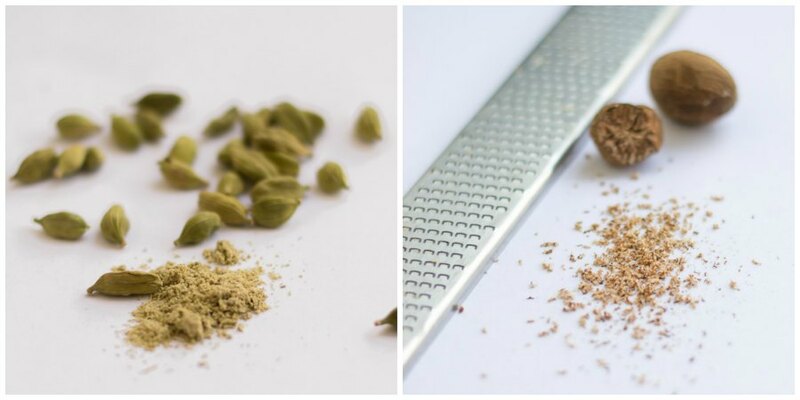 Mortar and pestle is the best way to grind cardamom. I use a micro-plane zester to zest nutmeg. 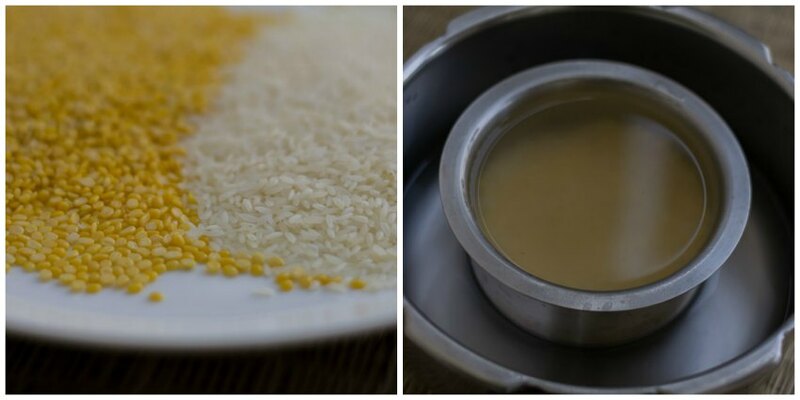 Mix the jaggery water and the cooked rice and dal mixture and set it on a stove on low flame. Keep stirring constantly. Let it simmer for 2-3 minutes. Add in the cardamom and nutmeg powder. Add in a couple of pinches of SALT. 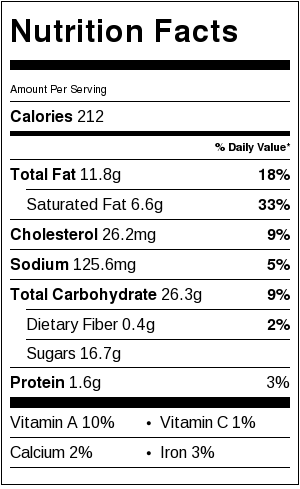 Salt rounds the flavor. 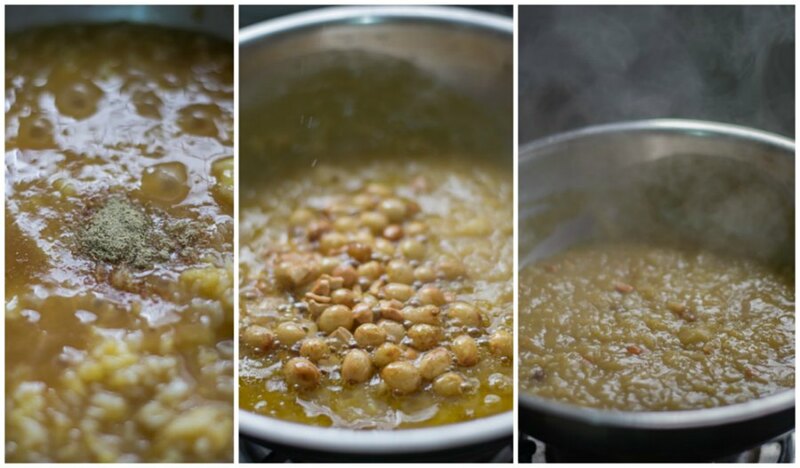 Now add in the ghee and nut mixture and stir until all the ghee is absorbed into the pongal. Remove off heat and serve. Sweet Pongal / Sakkarai Pongal / South Indian Rice Pudding recipe made during the pongal festival of tamilnadu தை பொங்கல். Pongal is also served as prashad/neivedhyam - an offering to god. Take quarter cup each of rice and split moong dal and soak it in 1½ cups of water for 15 minutes. Cook the dal and rice together in a pressure cooker for a good 10 minutes on low flame. Remove off heat and allow the pressure to release naturally. Set this aside. Take a small pan and set it on low. Add in the ghee and the cashewnuts. Roast on low flame until lightly brown. Add in the raisins and wait for it to plump. Once its plumped up, remove off heat and transfer to a small bowl. Set aside. Remove off heat and serve hot or at room temperature. thanks , am going to try this. any good cotton clean white hand kerchief or an old clean white dhoti will do! Hi in the list you mentioned msoor dal but the picture shows mung dal. Yes. Its split moong only. Thank you.